My name is Amy, and my blogging home is called Positively Splendid. Having been raised in a home filled with sewing notions and paintbrushes, I have a profound love for all things creative. My blog is a reflection of the heart I have for helping others reach their full creative potential, and on any given day at PS, you'll find projects ranging from home decor and sewing projects to recipes and kids' crafts. I would love for you to stop by for a visit! 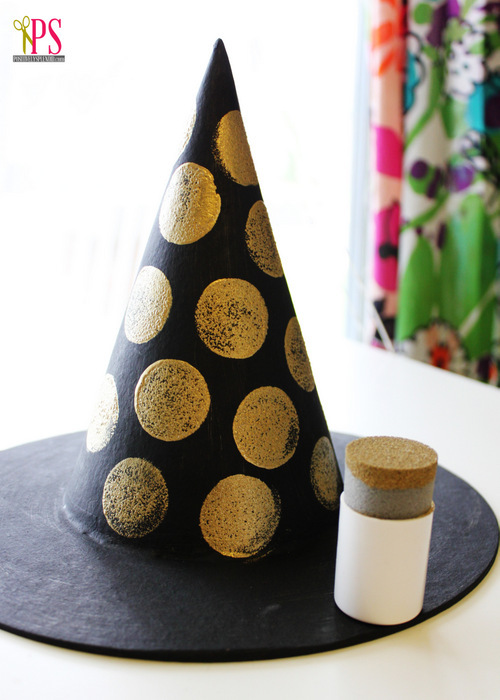 Today I am going to share a cute Embellished Witch Hat I made to place in my Halloween Mantel Display. 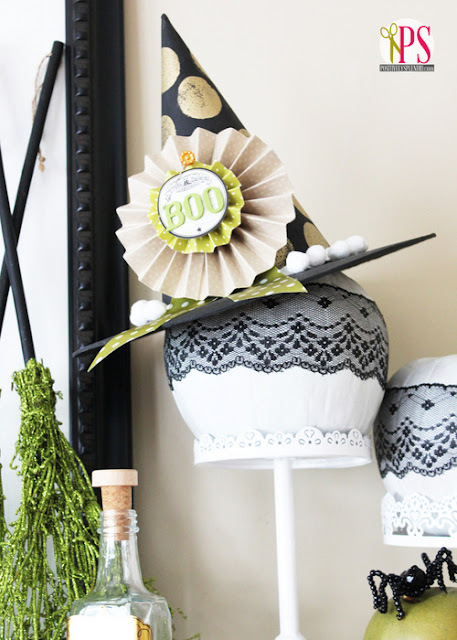 This is a fun project that really allows you to flex your creative muscles by using a variety of different supplies and techniques. Let me show you how I did it! To start, paint your hat in your desired color. 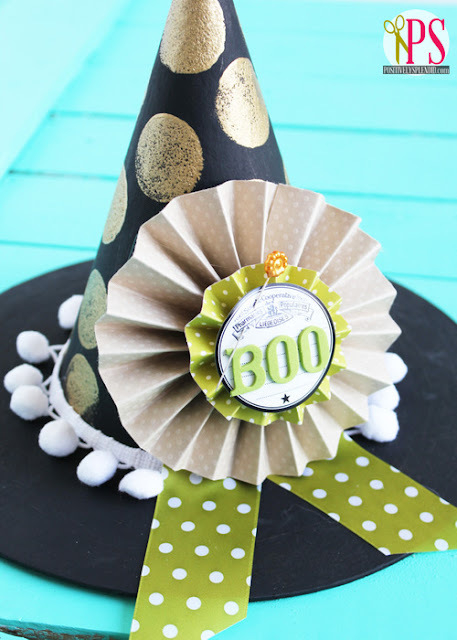 I opted for a tradition black hat, but you could go with any color you wish! 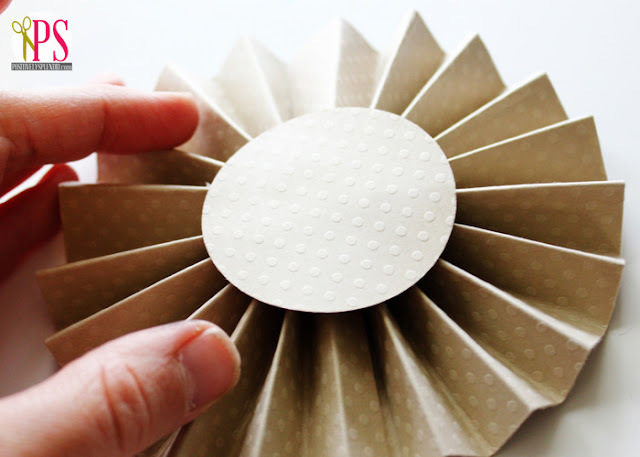 To make a paper medallion accent for your hat, cut four strips of paper: two that are 1.25 x 12" and two that are 2.5 x 12". 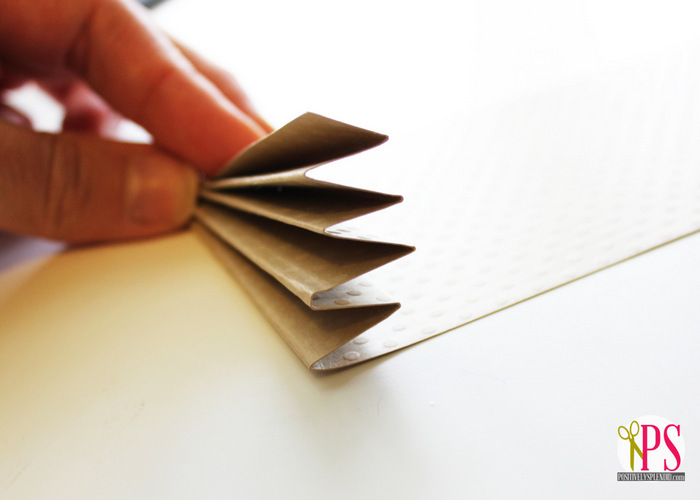 Working with the 2.5" strips, fold each strip back and forth every 1/2", as shown. When each strip is folded, overlap the ends and secure them together with hot glue, so that you have one long accordion-folded strip. 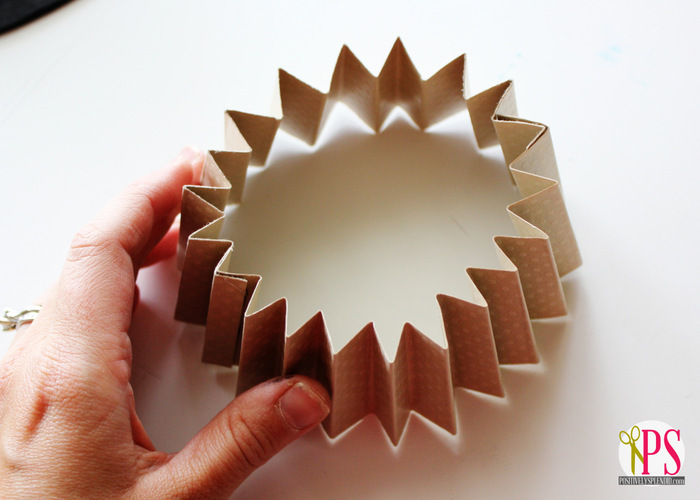 Next, overlap the remaining ends and secure with hot glue to form a loop. 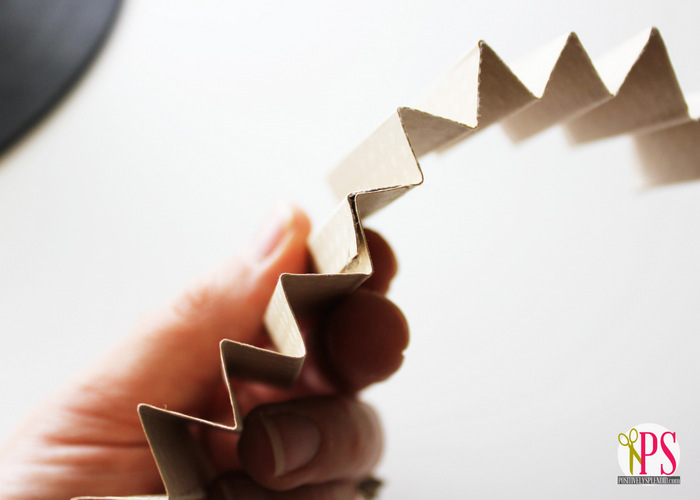 The loop will want to stand up and will resist being flattened, but that is okay. We'll remedy that in a second. Punch two circles using your circle punch (or cut them out by hand with scissors), and cover one of the pieces with a generous layer of hot glue. ...before adhering the circle on top with the other hand. Press it down firmly to secure. 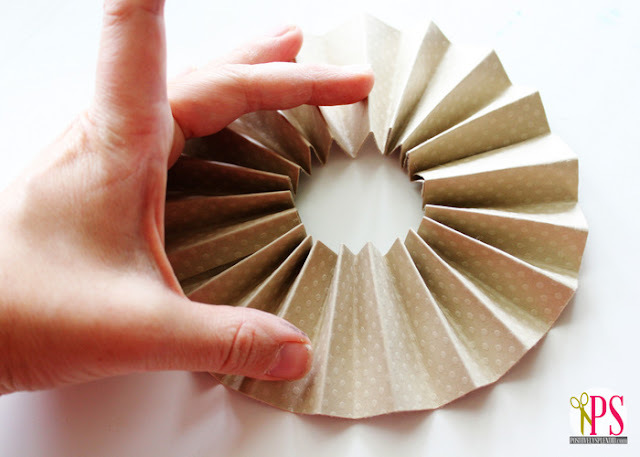 (Try to make the hole at the center of your accordion-folded medallion as small as possible so that your circle will have plenty of surface area to adhere to.) 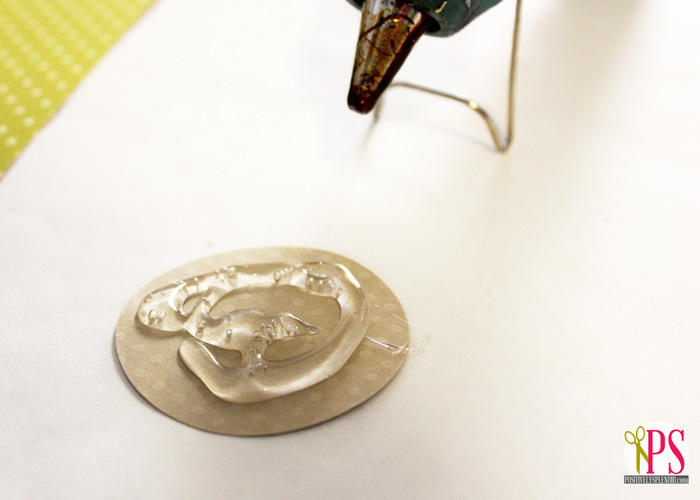 Now, flip your medallion over and secure the remaining circle piece to the opposite side in the same manner. Now, repeat all of the steps above with the 1.25" strips of paper, except make your accordion folds every 1/4" instead of every 1/2". You will now have two medallions: one small, and one large. 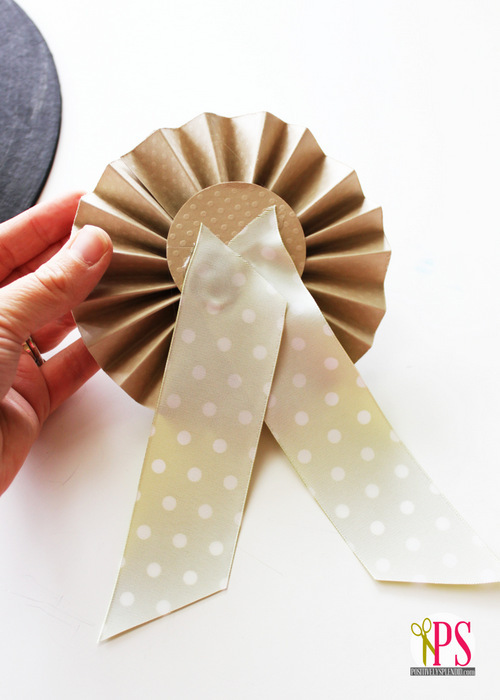 Cut two strips of ribbon, and secure them to the back of your large medallion. 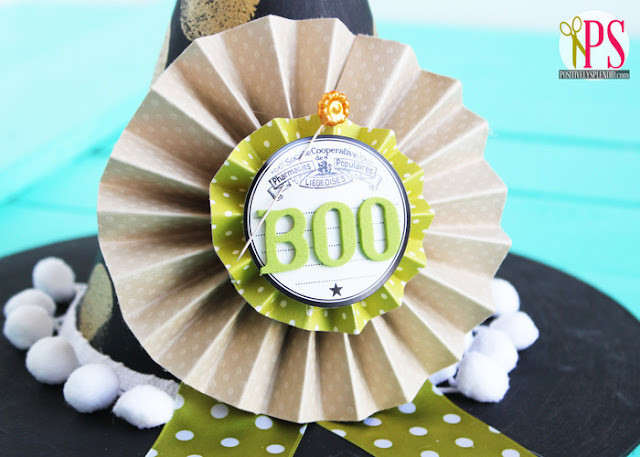 Use hot glue to adhere the small medallion on top of the larger medallion, and then embellish further with assorted stickers and other embellishments. 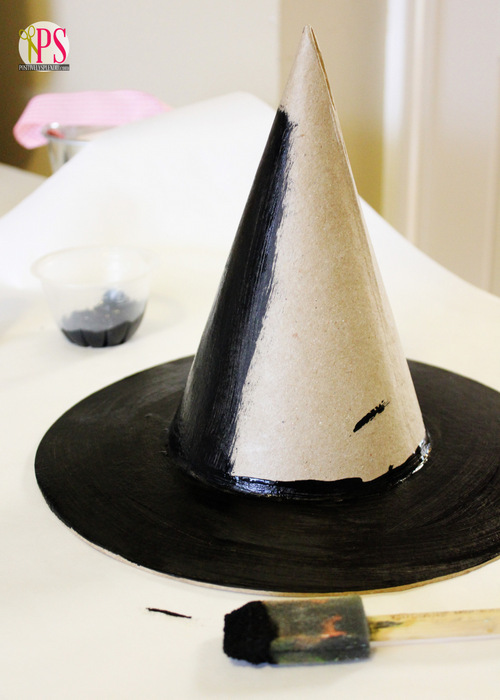 When your painted hat is completely dry, affix the medallion to the front of the hat. 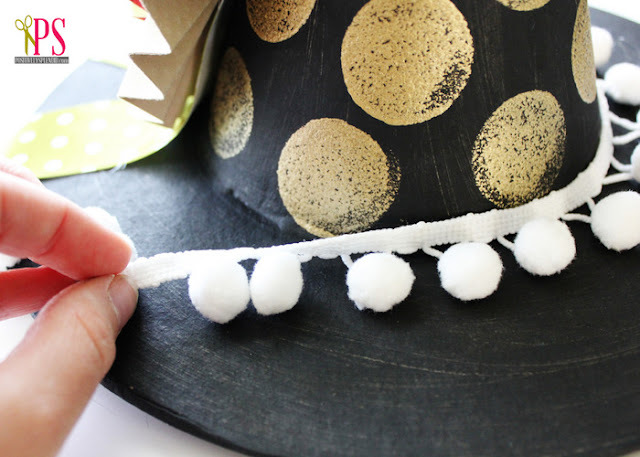 Finish with a strip of pom-pom trim at the base of the hat, if desired. I just love how she looks perched on top of my Halloween Mantel! Thanks so much to Amanda for having me over today! 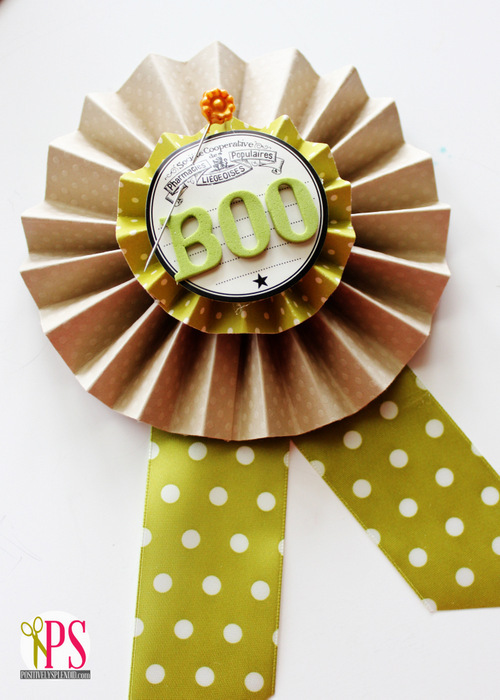 Y'all are welcome over at Positively Splendid anytime, where I have lots of other great Halloween and fall ideas on my project tutorials page. You can also find me hanging out on Facebook, Twitter, Pinterest and Google+! Darling Amy – I love the embellishments!! 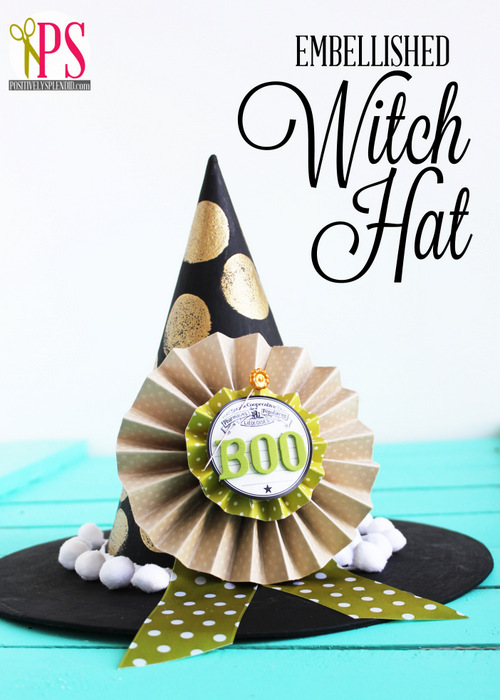 I think I need a witch hat now! That is so cute Amy!!! 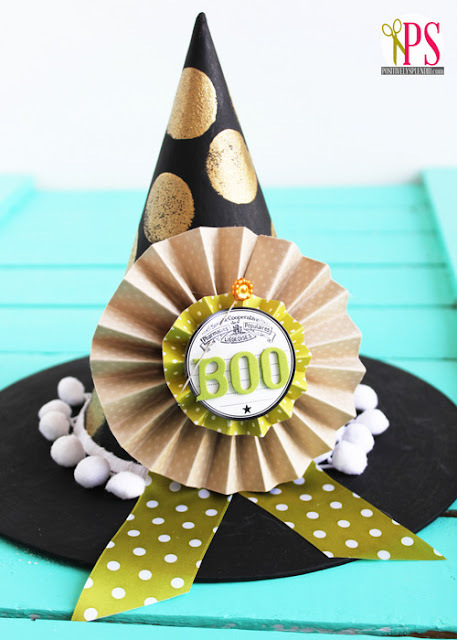 I love the pin and the little pompom trim! !